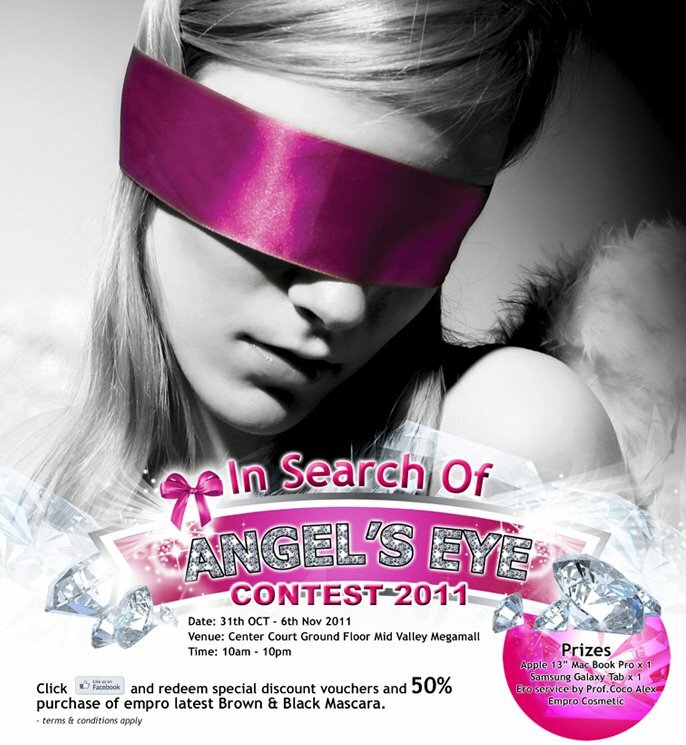 Isabel Lee | Malaysian Beauty & Lifestyle Blogger: Do You Have Eyes of an Angel? Do You Have Eyes of an Angel? 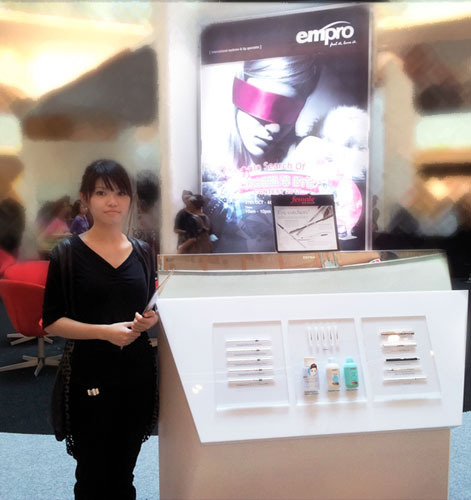 Dropped by the Empro roadshow in Mid Valley and guess what I discovered..? Winner will be chosen by Prof. Coco Alex himself! What an honour..
You can check out last year's winners HERE. Their Show Face Party contest is still ongoing as well. 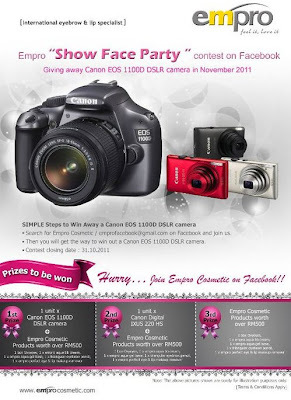 All you have to do is capture a photo of yourself with any Empro products and gather your friends to LIKE your photo. Contest ends 30th Nov 2011. 1 lucky draw chance for every RM 50 spent at the roadshow (RM 100 = 2 chances, RM 150 = 3 chances). 5 winners will win RM 1000 product vouchers each! New people who LIKE their Facebook page at the roadshow get an RM 5 cash voucher (to be used during the roadshow only). 10% discount for embroidery services (can be used with current promotions & discounts). Just leave your e-mail address HERE. 1 embroidery service at 20% off, buy 2 for 20% + 10% & 3 services for 20% + 20% discount. Don't forget you can use your 10% voucher on top of these! I've already plotted a perfect plan for you girls.. If you are super duper lucky, you could walk away with an Apple Macbook Pro, bonbrow service, Canon DSLR camera & over RM 2500 worth of Empro products from just an RM 50 purchase xD!